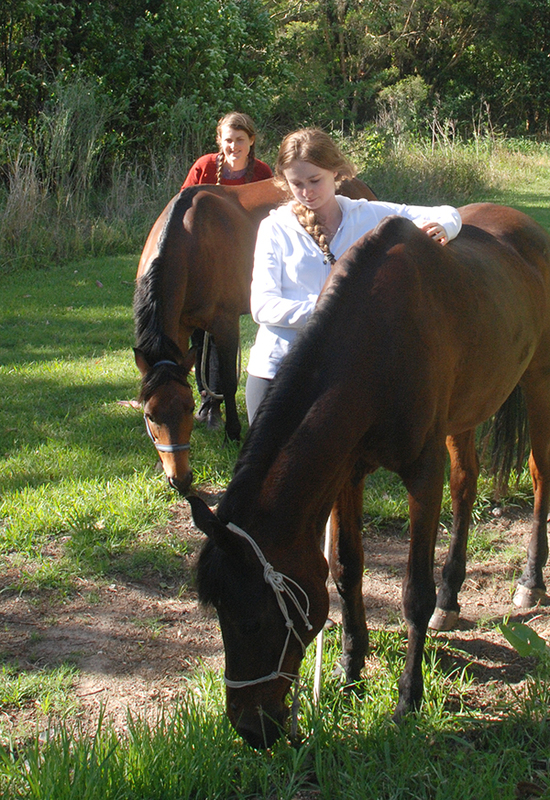 Earlier this month as part of my usual morning rounds I went out to feed my old horse that we keep in a paddock at the rear of our property. She wasn't standing at the fence eagerly awaiting breakfast as is her habit, so I called out to her. A great erupting neigh at full volume came from behind the stable. I found her on her back kicking at her stomach in great pain. She proceeded to try and get up straight away, with some difficulty and started to hobble after me as I ran for the phone. My hands shook as I searched for the vets number in my phone. Three phone calls later I had a vet who was available at that hour to come out. I sat with her and waited in terror that it could be the day, at her 30 years of age, to make a dreaded decision. Just like us, as our animals age they need a little extra tlc to keep on going at their best. Angie, my horse, has arthritis, and some interesting benign lumps that pop up on her (she has one on her nose that we call her beauty spot). Her teeth are also worn down so that she now requires special feed that is easy to chew and digest. As animals age their requirements change. I found that by informing myself of and understanding these new requirements there is much that can be done to increase their well being for the duration of their life. I try to find time to take Angie for a gentle walk every other day. Extensive arthritis in her front legs has caused her to be lame for the past five years. However the right exercise, which for her is a walk on flat ground only, adds interest to her day to relieve boredom, and helps to maintain her mobility and improve circulation. To treat her arthritis we add apple cider vinegar to her feed and cold pressed linseed oil for it's anti-inflammatory properties. Once we got the dosage correct for the linseed oil she had a remarkable and very quick reduction in her overall stiffness. We had comments from everyone at the paddocks she was agisted at at the time who were surprised by the change. In the past five years she has never gone back to her previous level of stiffness. This year her teeth became worn down reducing her ability to break down coarse feeds. She had lost weight and could no longer chew hay. She would remove the soft leaf and spit out the stalks. We are continuing to fiddle with her diet, but with an appropriate change to more finely ground and cut feeds, and an increase in fat and protein as is needed by the older horse, with the addition of soy and rice bran, she is now a healthy weight and has a glowing coat. By observing our animals I generally find that they have a way of telling us what is going on with them. Angie has been chewing wood which we have interpreted as a need for more fiber in her diet. We are experimenting with the addition of beet pulp to her feed, a relatively new product to the Australian market, for it's high digestible fiber content. Keeping on top of minor aliments and routine care, such as worm prevention, and keeping hooves clean and free of fungal infections, has been an important part of my care strategy. The ability of an older animal to bounce back from minor aliments is reduced, and it puts more of a load on a body that may already be under some pressure dealing with chronic conditions or general reduced efficiency. In Angie's case, she has a bowed front leg that causes her hooves to wear unevenly (much like we do to our shoes if we have rolled arches in our feet). Keeping her hooves trimmed regularly reduces the pressure on her arthritic knees.